Sean Kelly is one of those young, enthusiastic entrepreneurs who makes you want to join the startup party (just watch the video below). He co-founded H.U.M.A.N. Healthy Vending to bring healthy snacks to a gym near you and advocate social entrepreneurship that is dedicated to changing human health for the better. And, yeah, I’m gonna say it, he’s kind of cute. 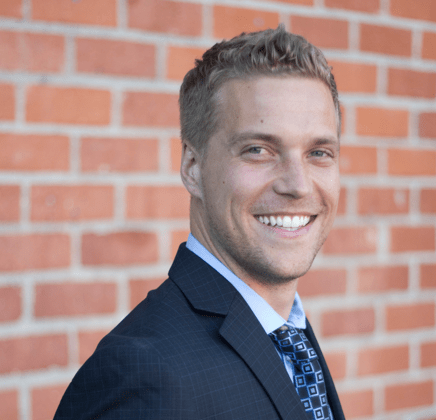 We caught up with Sean to talk tech scene in LA, lunching with Tiger, and the importance of people. Check the goodness. One of my mentors in high school was a very successful international diplomat. At the time, I was very interested in the prospects of becoming a politician. I’ll never forget him as this successful politician who told me that politicians don’t change the world, but rather entrepreneurs and business people do. That had a significant influence on me, and I never thought of politics in the same way again. I’ve also never enjoyed following the rules or staying within a set of guidelines. In entrepreneurship, you can do whatever you want, and will be successful at it as long as you provide value to your customers and are able to provide a solution to a problem in their lives. I learned this early on as a 6th grader running my own beverage/snack sales routes via wagons at local Traverse City, MI summer-time parades. It was either medical school or entrepreneurship, and entrepreneurship won out. After seeing a lady purchase a Coca Cola from a health club vending machine, take a drink out of it and then start running on a treadmill, I knew something was wrong with this picture. Why didn’t healthy vending machines, or vending machines with only healthy products, exist in the marketplace? 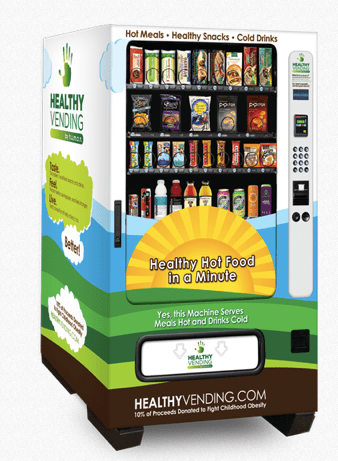 After launching healthy vending machines into the field as a college student, and then continually refining them to experience higher and higher sales, I realized there was no good reason as to why healthy vending machines didn’t exist in the world, and I decided that I absolutely had to put medical school on hold and pursue this entrepreneurial project full-time. What inspired your current startup / business and what makes it so killer? My “aha” moment was seeing a woman purchase a Coca Cola out of a vending machine at a health club where I was a personal trainer, take a drink out of the 20 oz bottle, place the bottle in the cup-holder of her treadmill, and then start running. That was the only vending machine or food and drink dispensary in the gym, and it was filled with absolute junk. If health-conscious people at a New York City fitness club don’t have access to the healthy foods and drinks they need to be healthy, this problem must be even worse for the rest of the population. That moment and realization was my inspiration. We’re different because our hi-tech, user-friendly vending machines actually help people achieve a higher quality of life rather than dispense junk that, at the end of the day, only hurts people. Furthermore, our machines are more fun to use and our franchisees who service them are social entrepreneurs that really, really care about the locations they serve. They conduct sampling events, get involved beyond just stocking product and are obsessed about the quality of service they provide. At HUMAN, we’re a health and nutrition company first and we do much more than the traditional vending co. Oh, and our machines are pretty darn high-tech compared to what the market is used to…touch screens, remote monitoring, credit card acceptance, mobile phone integration and much more! How has work on your current startup been different from other projects you’ve been involved with? The biggest difference with HUMAN as opposed to Fit Fuel or other projects I’ve worked on is that now I realize more than ever that people are just about everything in business. With the right people, and the right focus on developing those people, a company can reach amazing heights. First people, and then strategy – not the other way around. I knew people were important prior to HUMAN, but now I realize that without the right people nothing else really matters. What’s the funniest thing that’s happened to you in your entrepreneurial life? I flew across country to attend a very important meeting with top school officials at a large school district where we were trying to place our healthy vending machines. After about an hour and a half, I got-up to use the restroom and on my way realized that my fly was 100% open, and I was wearing neon underwear. I came back to the meeting and asked them if they had noticed that my fly was 100% open, and they candidly said “yes!” I was mortified, but it was pretty darn funny for everyone in the room. Oh yeah, we won the contract. Surround yourself with people who’ve done it before, are smarter than you, and have been where you want to go. I wish I had learned this a long time ago. Don’t try to do it all on your own. Utilize mentors and others who are happy to help to get you to where you want to be. Copy other successful people 95% of the way and then use that final 5% for your own unique touch. 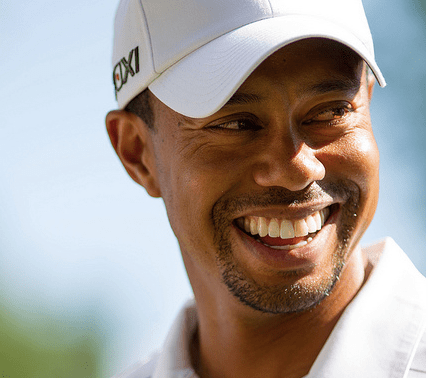 I’d really enjoy sitting down with Tiger Woods with a bottle of Cabernet and top-notch grass-fed steak between us (something I don’t have often – red meat!) and chat with him about the source of his drive, his recent personal struggles and how his mentality is different today than it was ten years ago. I find those people who have tasted both massive success and massive failure to be far more interesting than those who haven’t had a significant downfall or faced really low lows. Tiger has been at the very top and also a pretty low bottom, and as a result, I’d love to dissect his mentality and absorb as much as possible from him (both what to do and what to avoid). Furthermore, before he went through his personal struggles, he was the best golfer in the world, by far. And at that time, he made the decision to completely change his swing, because he knew that even though he was the best, he could get better! That’s amazing. Good is said to be the enemy of Great, but Tiger ignores that. He was the best and wanted to get even better. Few people use their own maximum potential as their measuring stick, but Tiger does, and I want that too. Spotify. Maclemore’s And We Danced. Absolutely, in just about every way imaginable. I’d say that initially the impact was primarily negative as my personal life simply revolved around my work. But now, the impact is positive, because I’ve learned to integrate my work with my personal life and vice versa. The two are a symbiotic pair. For some people this sounds bad, because there isn’t much separation. But I prefer for it to be this way. I know when to pause work and focus only on personal and I know when to pause personal and focus purely on the company, but for the most part, the two now exist in harmony, and impact each other equally. I don’t try to separate my personal life from work and I believe the more the two are integrated the better work life, and overall life, an entrepreneur will enjoy. A million. But most importantly it’s that people are everything, and you’re primarily judged by the impact you have on the people around you. If you live your work life and personal life in this manner, you’re going to be fulfilled, loved and successful. Los Angeles in the up and coming Culver City warehouse district (and I live in Santa Monica). 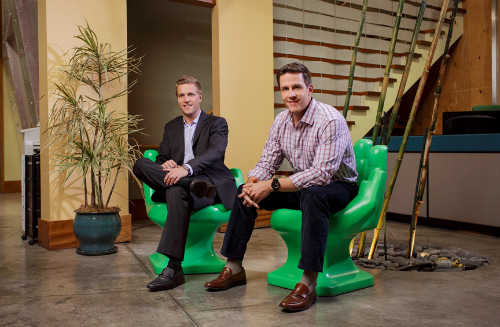 Whereas the startup culture 8 years ago when I first moved to LA was weak, now it’s thriving. I believe LA will experience more entrepreneurial expansion in the next decade than any other city in America. And I’ll do everything I can to help make that happen because I don’t plan on moving anytime soon! Check out Healthy Vending, and coming soon, www.seankelly.me. Thanks, Sean! #1 – Love the H.U.M.A.N. Healthy Vending cause. #2 – I’m now listening to Maclemore’s And We Dance for the first time, ridiculous. #3 – Are you single? Shameless blog flirting, I apologize. But seriously people, check out Healthy Vending and get inspired to become your own social entrepreneur and change the world. Or, at least be inspired to get on the treadmill.